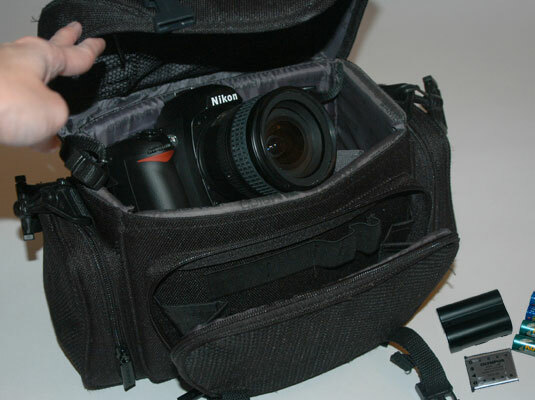 Your camera bag should hold your basic camera setup, as well whatever other gear you might need, such as lenses or extra batteries. 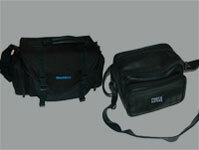 2Decide in what conditions you plan to use your camera bag. You may want a bag with multiple compartments that you can reconfigure to adapt to different conditions. 3Weigh your camera-toting style against potential camera bags’ toughness. 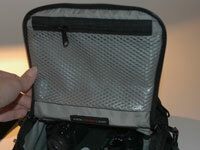 If you’re going to be hard on your camera bag, get one made of rip-stop nylon or canvas. You can also find leather camera bags. 4Go for either security or convenience (or find a compromise). Some bags keep your equipment safe and sound, no matter what, but they can be difficult to get open in a hurry. Others are easy to access but increase the risk of accidentally opening. 5Protect your camera equipment from the elements. If you take photos outside, your bag needs a top flap that protects the main compartment from bad weather.